Wisconsin Rep. Paul Ryan was easily elected to serve as the 54th House speaker Thursday, ending a tumultuous few weeks for the Republican House majority as it scrambled to find a replacement for outgoing Speaker John Boehner of Ohio. 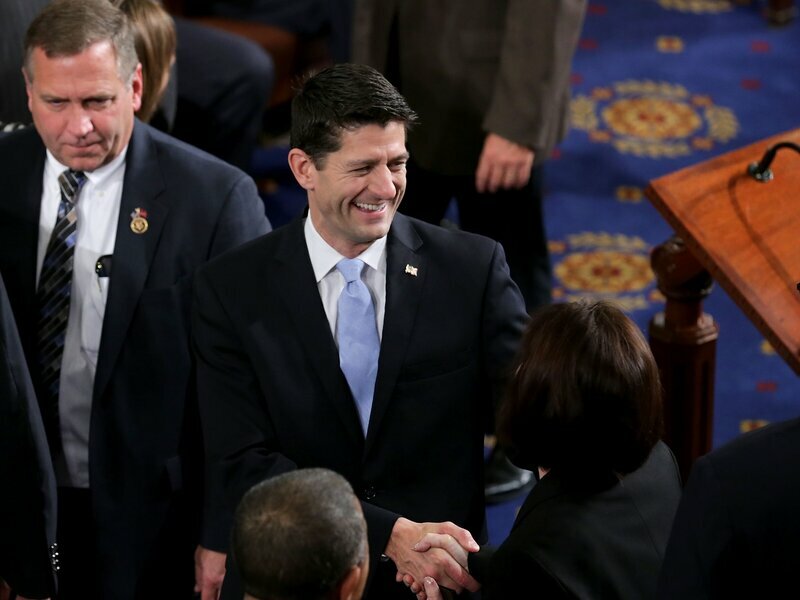 Ryan, a former Republican vice presidential nominee, got 236 votes — well above the 218 threshold to become speaker. After the vote, Ryan thanked Boehner for his service and said his election to the top spot in the House is about "wiping the slate clean." For more in-depth coverage, head on over to It&apos;s All Politics. Here&apos;s Ryan&apos;s first tweet after being elected to serve as House speaker.